Yasmina Zaze, a 20-year-old woman, from Safi was born deaf. Due to her challenges and a lack of support from her school, Yasmina had to leave at the end of her primary education. Determined not to let her disability limit her, Yasmina pursued professional training as a beautician and gained experience in the field. In spite of this she was unable to find a job and earn an income of her own—leaving her completely reliant on her parents. With more than 50 percent of Morocco’s working-age population out of school and out of work, youth unemployment is an increasingly serious concern. Micro and small enterprises play a central role in Morocco’s economy accounting for nearly 94 percent of existing businesses. However, with most of the young employed having a secondary education or less, youth face a number of challenges including: the absence of a strong entrepreneurial culture, access to credit, lack of access to networks, and a lack of personalized coaching and support. The Near East Foundation (NEF) is addressing this gap by empowering youth through training in entrepreneurship, support through business incubators, and start-up grants to give young professionals in Morocco the tools they need to turn their ideas into viable businesses. Young women face additional social barriers that prevent their full participation in the formal economic sector. With the help of the project’s junior coaches and staff, Yasmina developed a viable business plan and financial strategy that was approved for funding by the project’s selection committee. With the project grant, Yasmina purchased all the materials she needed to open her beauty salon—which launched in July 2016. Yasmina is able to communicate with her clients through signs, and her mother and sister-in-law provide support—especially in taking appointments over the phone. To expand her business model, Yasmina created a space for her sister-in-law who is a hair stylist. 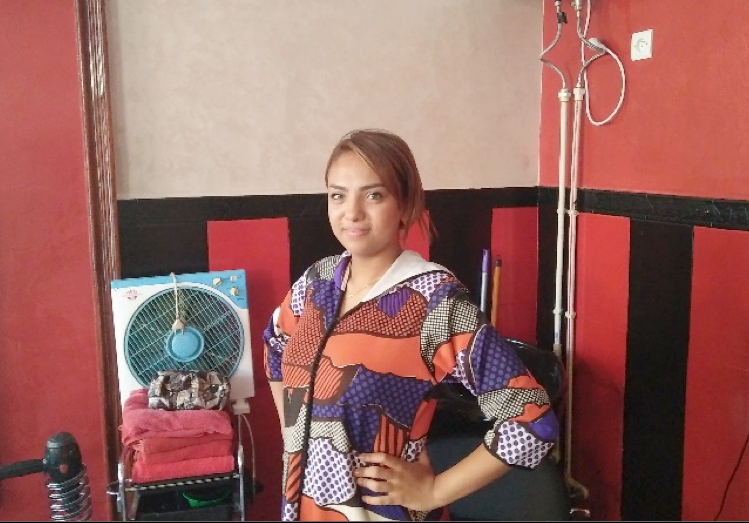 While Yasmina provides cosmetology services, her sister-in-law provides hair services in the salon. Yasmina has ambitious plans for the future of her salon. She will participate in post-business creation training sessions offered through the EYEM project, and is interested in learning about microcredit opportunities and new laws regarding entrepreneurship in Morocco. Another EYEM participant, Nabil Khalidi, a 24-year-old graduate from the Mohammadia School of Engineering who dreamed of using his skills in electrical engineering to revolutionize smallholder farming in Morocco. Usi ng his skills, Nabil developed a model for a solar-powered irrigation system for small farms. The system delivers the necessary amount of water to each plant, making irrigation more efficient and improving productivity. Through his participation in the EYEM program, Nabil has transformed his model into a business—Agri Energy S.A.R.L. 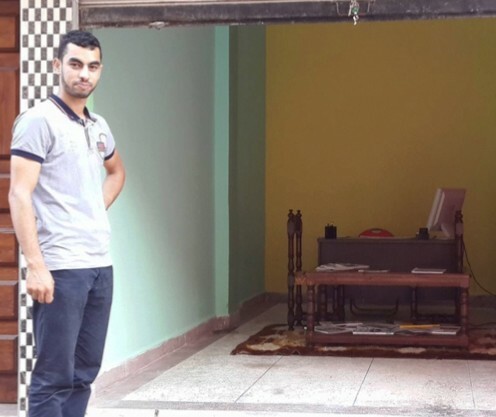 With project support, Nabil developed a professional business plan for his idea and received a small grant of approximately $2000 to launch his enterprise in June 2016. Agri Energy S.A.R.L. develops and installs solar irrigation systems, allowing water to be pumped into remote locations that are beyond the reach of electric power lines. The solar powered system provides an environmentally friendly way to efficiently pump more water for drinking, stock tanks, sanitation, and irrigation. 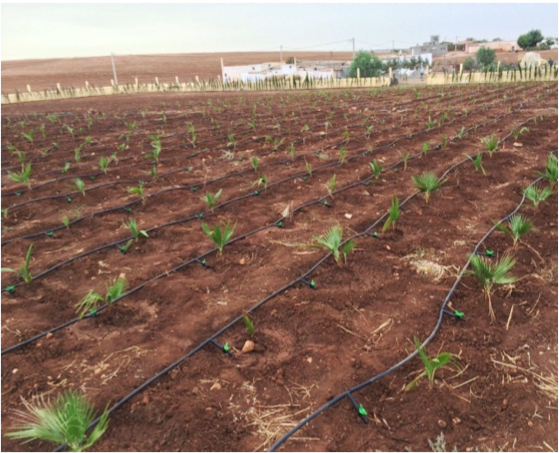 Nabil installed a pilot plot on his uncle’s farm to test every aspect of the system and ensure reliability. Once fully tested, Nabil will market the system to local farmers. Nabil has estimated that farmers will see a benefit of 4,000 to 20,000 Moroccan dirhams depending on the space and materials used (based on savings in energy, water, and labor costs). Further, the improved irrigation methods will increase production by 3 to 10 percent. So far, the EYEM project has trained 486 youth in microenterprise development (263 men and 221 women), assisted over 349 youth in developing and improving professional business plans, and helped 250 businesses launch to date (47% female). 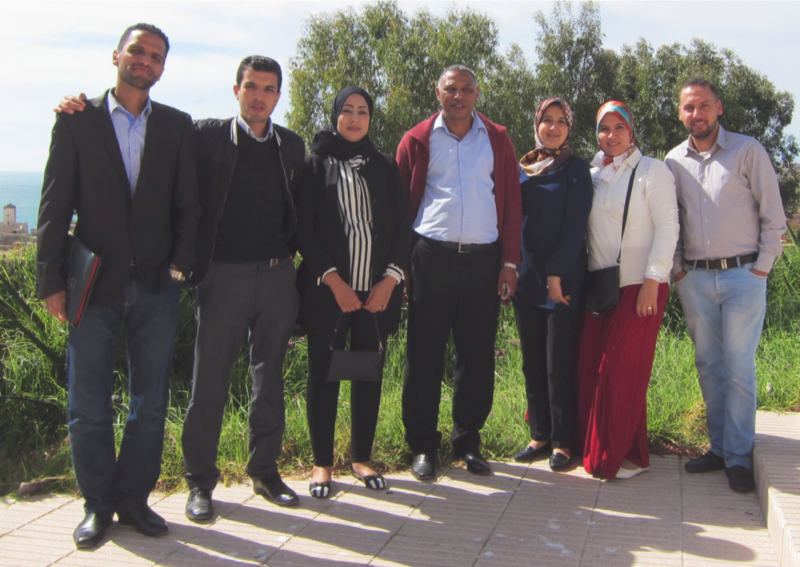 For more information about NEF’s work in Morocco, click here.